Many Bay Area bands came home to roost over the recent holidays for memorable shows to close out 2016. This was evident especially for the heaviest of local heavy music mavens, as Death Angel, Metallica, and Neurosis all recently took turns to pummel nearby stages. 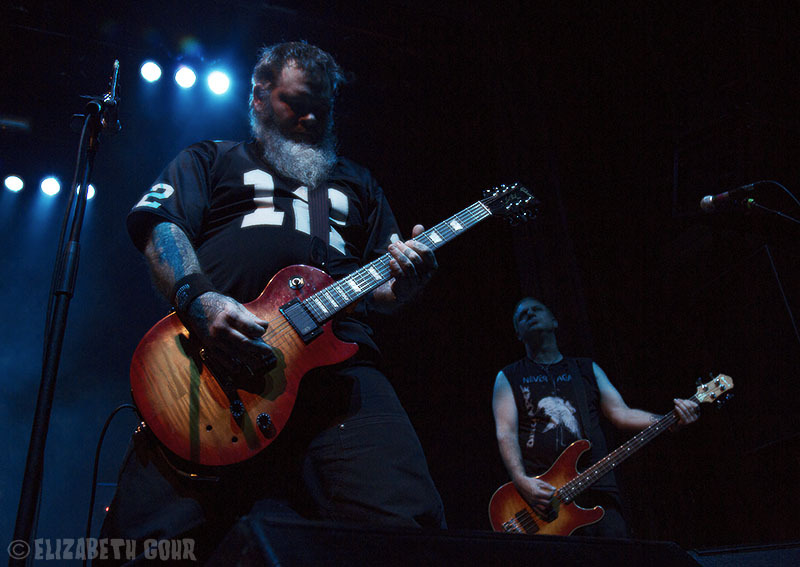 Neurosis made its return to the Regency by offering up a set that was dramatically different in content and delivery than the last time the East Bay sonic masters were seen locally. 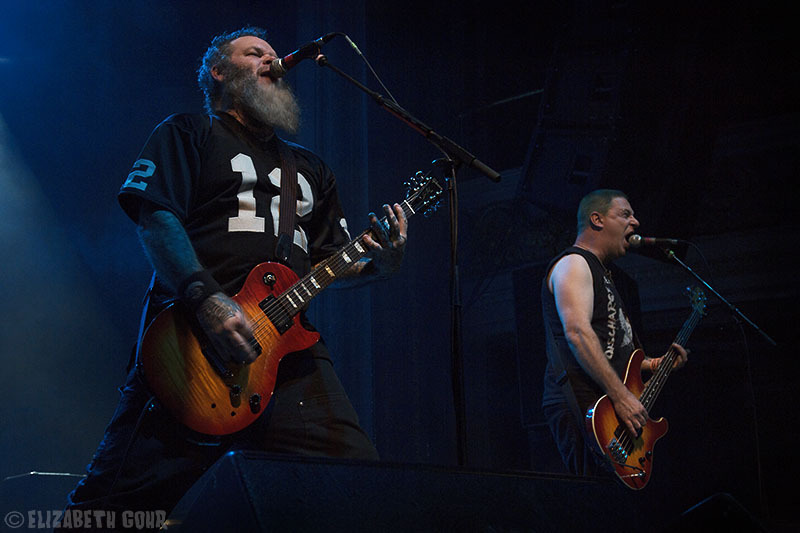 Neurosis’ 30th Anniversary shows at the Regency back in March showcased the combustible, apocalyptic side of Neurosis, inciting violent pit activity by highlighting songs from throughout their existence. This time around the band stretched out to offer their more deliberately paced, spatial and psychedelic side. The set list for the holiday homecoming consisted of only a few of the songs they played during the 30th anniversary shows, specifically drawing off of their most recent recording Fires Within Fires (Neurot Recordings – 2016). 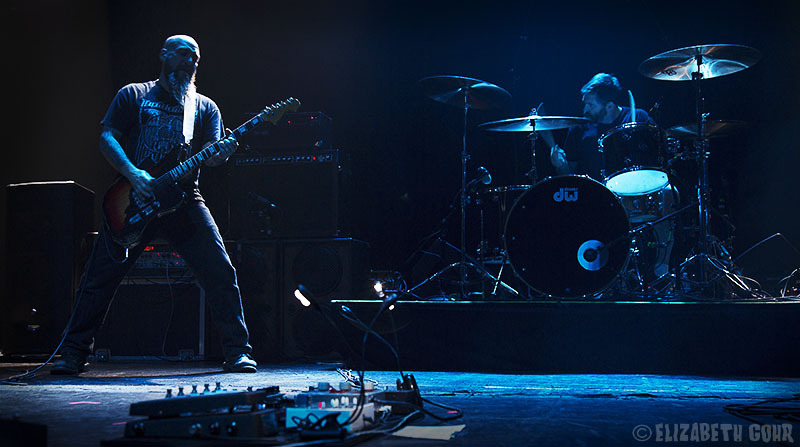 Though their heavy-handed, tribal, hyper-volume fingerprints are on every set they play, Neurosis has the hidden superpower of channeling the energy of their shows in different ways to reach completely different conclusions. It is almost like following a different story arch in the old ‘Choose Your Own Adventure’ book series. Starting by going back to the 1993 album Enemy of the Sun to drop the hammer on the bundled up crowd, they unpacked the beautifully eerie and agonizing ‘Lost’ (one of the few carry overs from the last Regency shows). Beginning with the creeping bass line of Dave Edwardson overlaid with expert soundscapes from Noah Landis, the opener trudged forward to the explosion of guitar volume and plaintive, screeching vocals from Scott Kelly and Steve Von Till. However, this is where Neurosis set a slightly different trajectory for the evening. 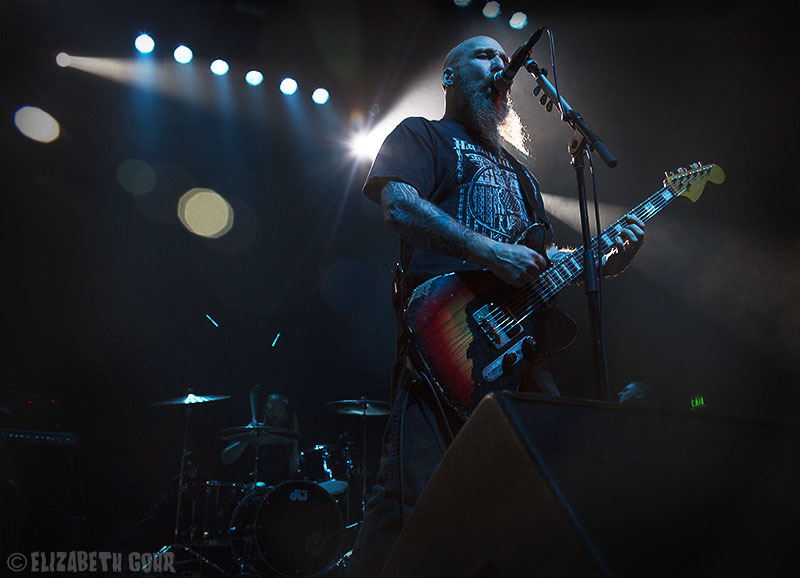 Where previously the set list would pound the audience into submission with churning aggression that would ignite an incessant pit for the night, this night was marked with more of a push and pull with Neurosis’ signature releases of sedative space. The second song, ‘Distill (Watching the Swarm),’ was a microcosm of dynamic interplay of the set they were to play. From this point on Neurosis charged into the void with many psychedelic, spatial passages, particularly highlighting their most recent opus Fires Within Fires. Landis was like a contortionist at his command console. 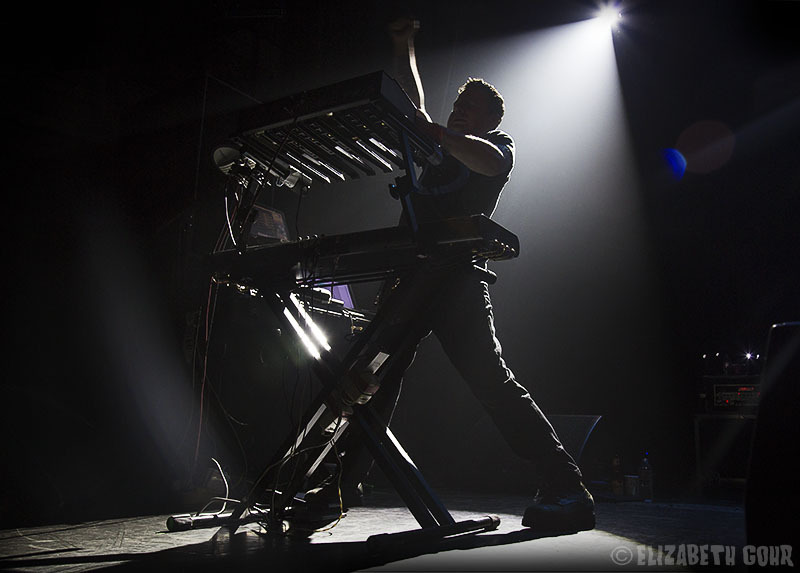 Whether he was leaning forward on his synthesizer stand or crouching low and popping up to punch the sky as the volume shattered the room, he was like a mad scientist conducting the orchestra of brutality that is Neurosis. It is hard to describe what is unfolding when they get into this realm, but it is as if Syd Barrett era Pink Floyd went on a Game of Thrones burn and pillage spree. ‘Bending Light,’ from the new album (which the band unfurled toward the end of the set), typified this dichotomy. A schizophrenic journey into madness that starts similarly to Floyd’s ‘The Nile Song’ veers into a free fall through space, crashing through sharp shards of glass and then hitting the ground to plow through anything in its path. It is easy and safe for a band to be predictable and continuously roll out the same sets and presentation to appease its fans. It is a true artist that takes risks by changing the landscape so that its fans don’t know what to expect. That is what Neurosis has delivered not only in this show but also with Fires Within Fires. It is a credit to this clan that they continue to deliver their art on their terms. Opening for Neurosis was the mighty Yob from Eugene, Oregon. Bringing heavy handed droning doom that intertwines stoner grooves with sub-atomic, space aged, quantum mysticism, they offer a battering ram of volume that had the crowd moving. 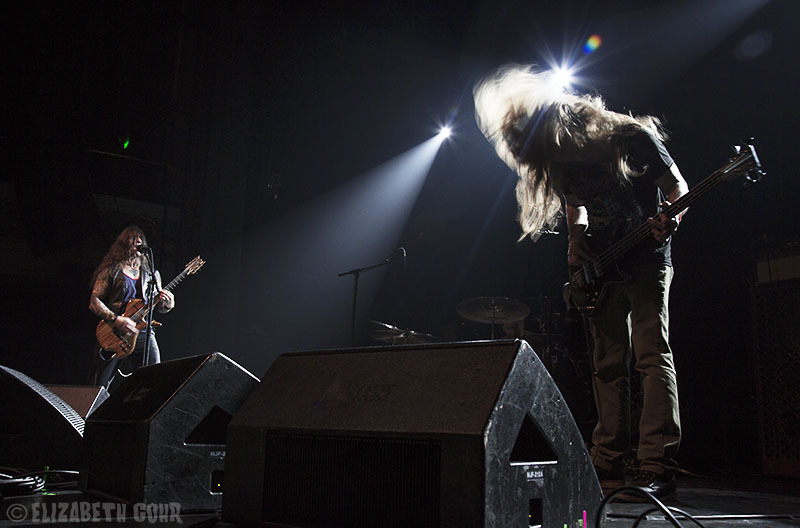 A three-piece outfit consisting of founding member Mike Scheidt (guitars / vox), Aaron Rieseberg (bass), and Travis Foster (drums), Yob have been Neurot Recordings label mates with Neurosis since 2014, which is when they released Clearing the Path to Ascend. Yob is a cult favorite here in the Bay Area and have played many times before with Neurosis, who Scheidt cites as an influence of the band. 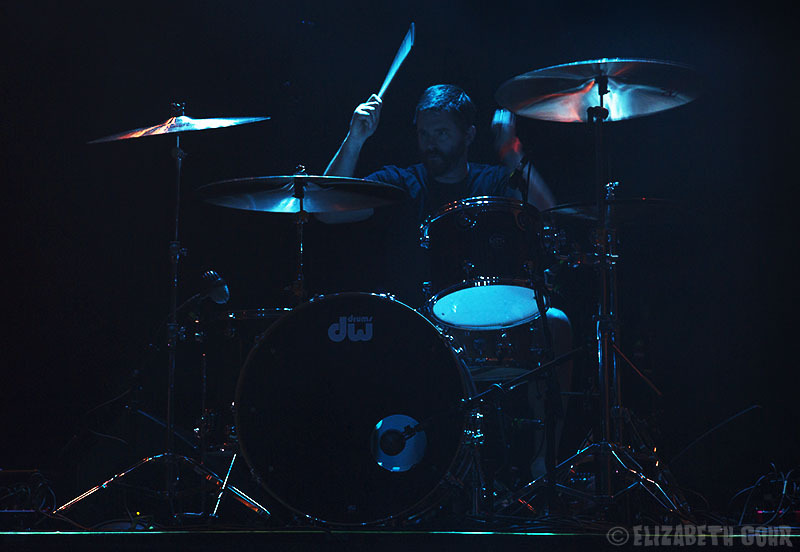 They are known for epic journeys of transcendent doom metal that wash over the audience. ‘In Our Blood,’ a 16-minute composition off Clearing the Path to Ascend cast a hypnotizing spell of sedation on the crowd, perfectly priming the Regency for Neurosis. If mind blowing, molten, stoner space rock piques your interest, check out Yob, they will definitely flip your lid. 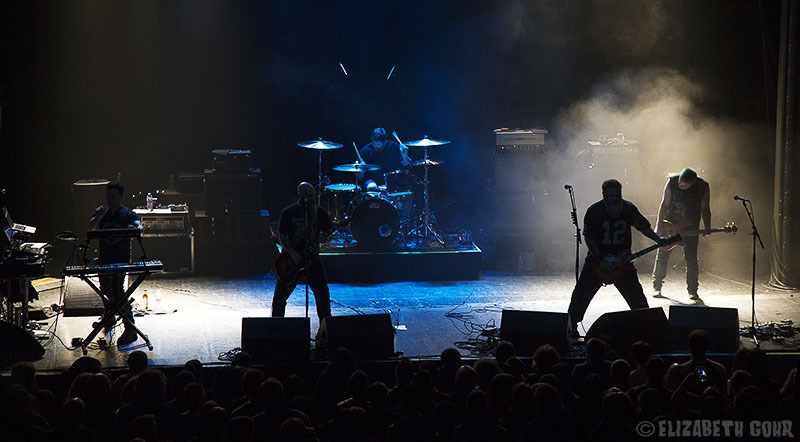 For more information on Neurosis, check out their website. 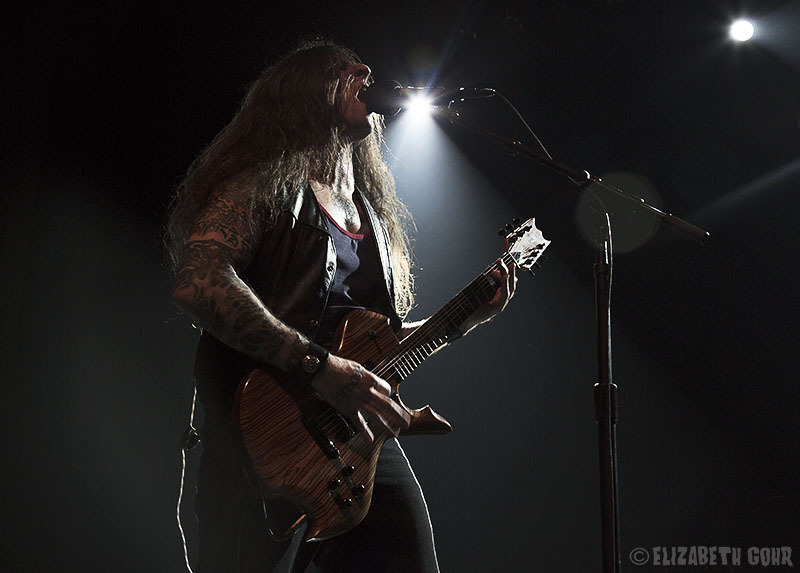 Find out more about Yob here.